Reading the text without the reverb on every chapter title. Emphasis on appropriate areas of the text. The writer seems to have an extremely low level of understanding of the text. I was expecting a doctoral level dissertation and got a Junior High Essay. 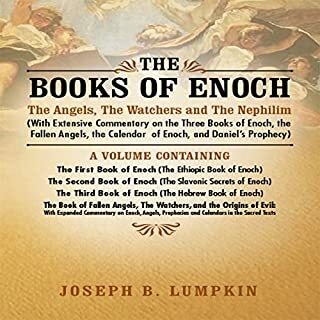 Would you recommend The Books of Enoch: The Angels, The Watchers and The Nephilim to your friends? Why or why not? No, it is weak in explanation and making the text relevant. Way overdone and cheesey. This should be a theological treatise, not a junior fiction tale. Take the book seriously and do better research and writing. 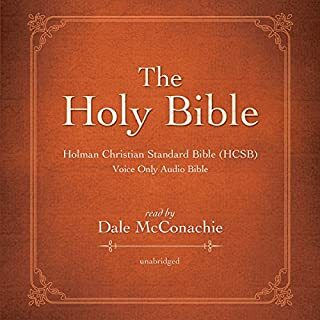 What disappointed you about The Holy Bible: Holman Christian Standard Bible (HCSB)? The narration is rushed. It seems as if the reader is trying to get through the material as fast as possible with no inflection or emphasis on the text. Basically the text is read woth no meaning. I love the Bible and was hoping for a good listening experience. What didn’t you like about Dale McConachie’s performance? Rushed, no emotion or emphasis on the text. Horrible! The book and contents are the path for life. This rendition stunk.